The United State army did it again. US Military dropped an enormous bomb in Afghanistan which was actually targeting the militant organization ISIS. CNN has reported this as the breaking news with confirmation from the officials who are directly involved in the mission. It is said that a GBU-43/B Massive Ordnance Air Blast Bomb, which is nicknamed as MOAB was dropped exactly at 7 P.M local time on Thursday, according to the sources claimed by CNN. The MOAB is also known as the Mother of All Bombs, which is 21,600 pounds, GPS-guided munition and is considered as the most powerful non-nuclear bomb. 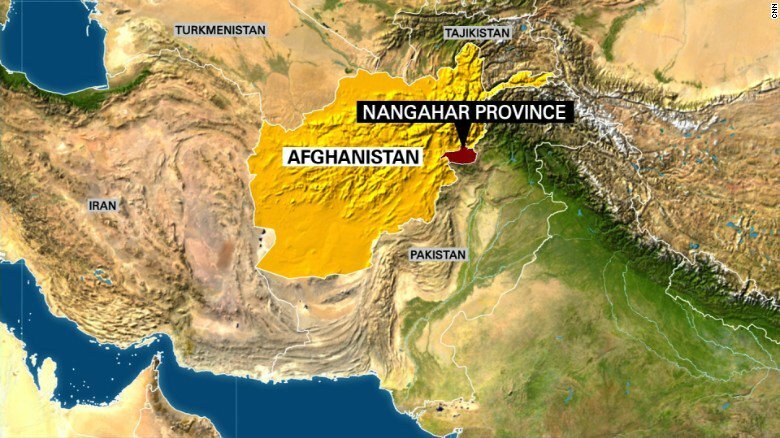 Aircraft MC-130 dropped the bomb, operated by Air Force Special Operations Command, sources in the military said. The sources added that the target is to aim at the ISIS tunnels and the personnel in the Achin district of the Nangarhar province. The US military is presently assessing the damage caused by the monster bomb. Gen. John Nicholson, commander of the US forces in Afghanistan has signed off the use of the bomb to use on the Afghanistan aiming at ISIS tunnels, officials said to the sources of CNN. This is the first time ever a MOAB has been used on the battlefield by the US, according to the US officials. This munition was initially developed during the Iraq war happened in 2003 during the regime of Saddam Hussain. This is the second time US military has started dropping bombs. The first victim was Syria which happened a couple of weeks back. The damage caused by the monster MOAB is still unknown, but it is expected the impact of this will be huge and it will last for more time. The news was first reported on CNN and is spread all over the world. It is yet to be known if the target of the US military to destroy the ISIS camps and tunnels has been achieved or not. Since it is claimed that MOAB is the largest even used a non-nuclear bomb, it is expected there will be a loss of civilians in the country, which also impacts on the economy in the long run. Keep watching the space for more updates. Stay tuned.